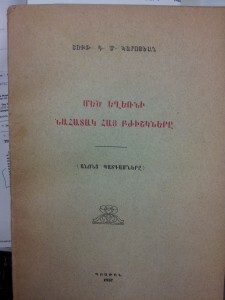 UCLA Library is widely known as one of the largest repositories of Armenian materials in North America, the Armenian collections as diverse in subject as in medium. 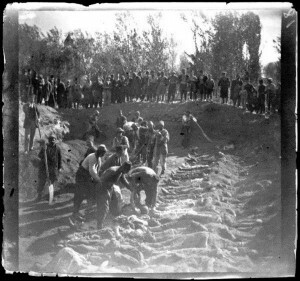 In recognition of the 100th anniversary of the Armenian Genocide, we would like to focus our attention toward some of our Armenian collections pertinent to the occasion. One impressive archive is the William Sachtleben Collection (1890-1893). 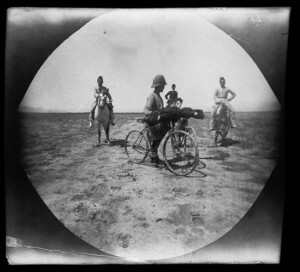 The collection is described as "Photographs relating to a world tour on bicycle which Sachtleben began from England and completed in New York City, from 1890 to 1893. 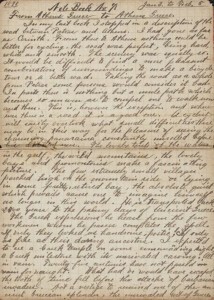 The collection also contains prints, letters, clippings and other papers relating to his stay in Turkey from 1895-1896, where he was sent by Outing Magazine to investigate the disappearance of a fellow American cyclist, Frank G. Lenz." 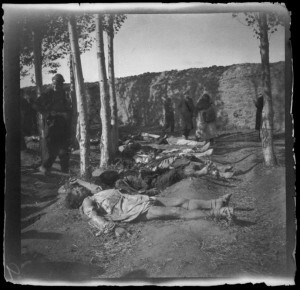 The Erzerum massacres are considered a rehearsal of what was coming to the Armenians in the Ottoman Empire on a much larger scale in 1915. 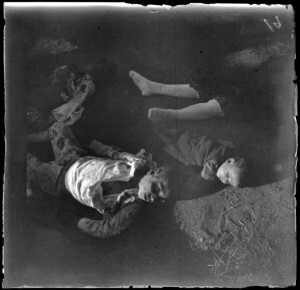 The Sachtleben photographs are partnered with letters describing the massacre from "an occasional correspondent" (Sachtleben) that were published in "The Times" (London, England), dated November 16, 1895, titled "The Massacre of Erzerum;" dated November 27, 1895, titled "The Massacres at Erzerum;" and December 09, 1895, titled "The Erzerum Massacres." 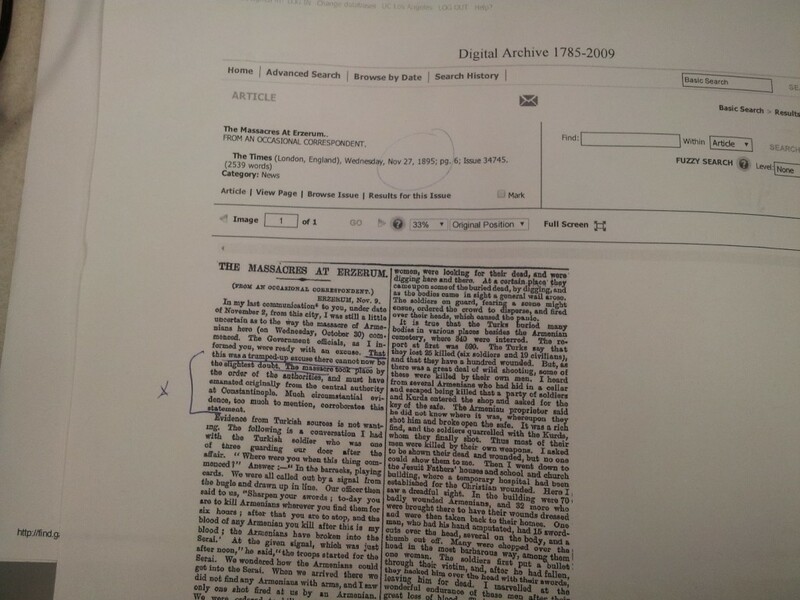 These letters can be accessed from The Times Digital Archive 1785-2006. 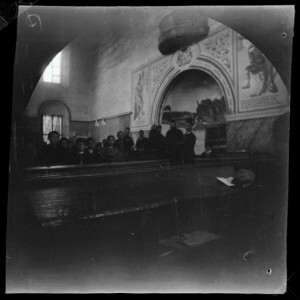 Another archival collection that has not been fully digitized contains some sources on the humanitarian assistance planned by the Armenian community of Isfahan, in Iran, for refugees of the Armenian Genocide, from the provinces of Van, in Turkey, and Azerbaijan, in Iran, who had found their way to Isfahan. 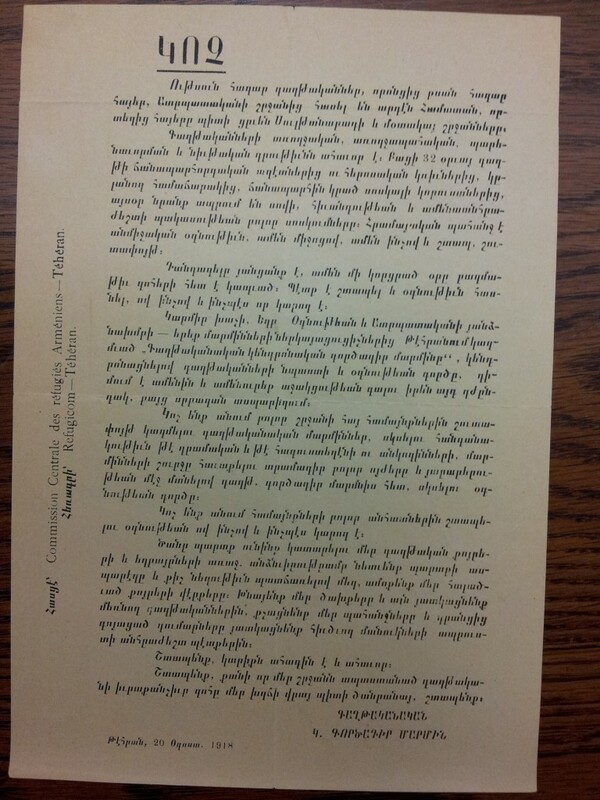 Below are examples of some announcements from the Minasian Collection of Armenian Materials, ca. 1600-1968. 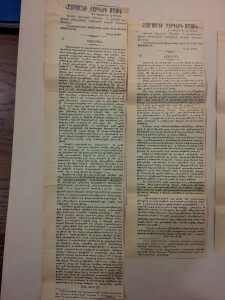 These articles and announcements can be accessed at UCLA Library Special Collections by request. 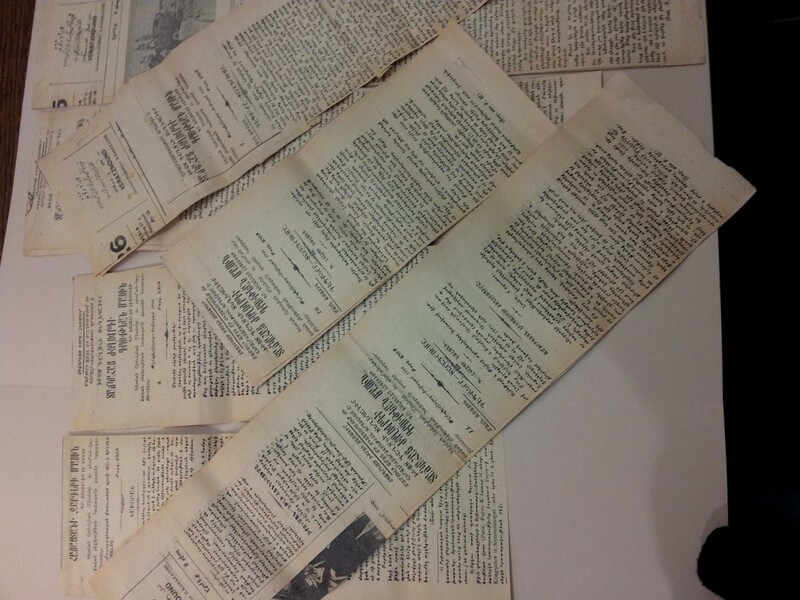 Additionally, there are newspaper clippings from Veratznound (Վերածնունդ) that contain re-published articles on the Armenian Genocide. 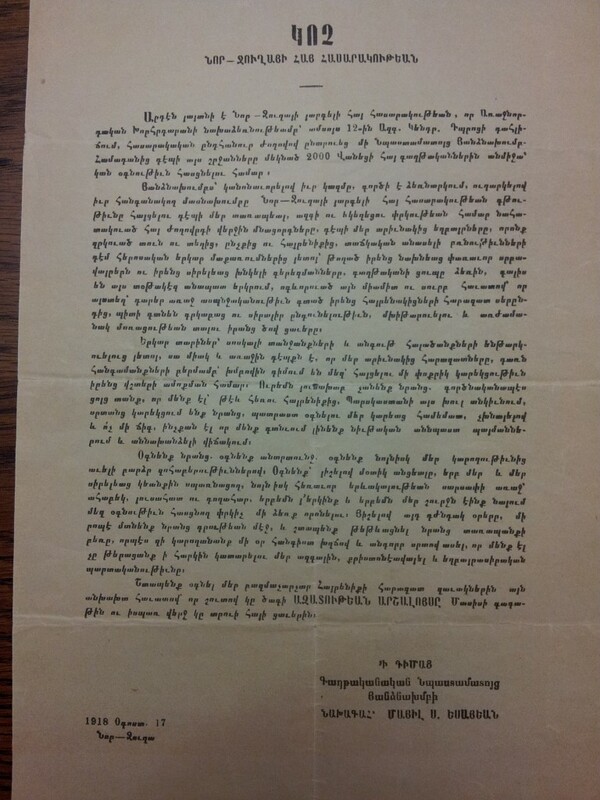 These articles are daily eyewitness accounts from different sources published during the Genocide by Armenian papers. 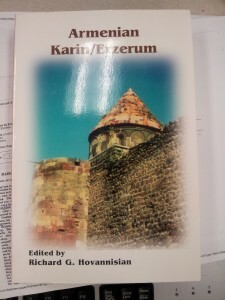 Hovanisian, Richard G. Armenian Karin/Erzerum. Costa Mesa, CA: Mazda, 2003. Pilibosian, Khachadoor, and Helene Pilibosian. 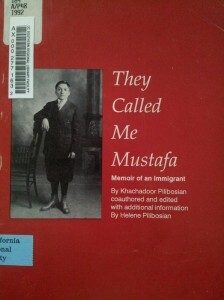 They Called Me Mustafa: Memoir of an immigrant. Watertown, MA: Ohan, 1992. 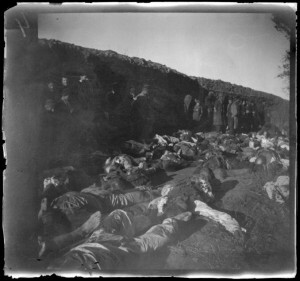 The Martyr Armenian physicians during the Genocide: their legacy. Published in Boston in 1957. 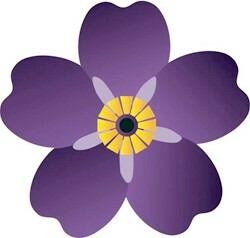 Karoyan, D.M. Mets Egherni Nahatak Hay Bzhishnere. Boston: 1957.